Cura provide Risk Management Solutions. The suite of software allows business to achieve bottom line benefits of governance, enterprise wide risk management and compliance. 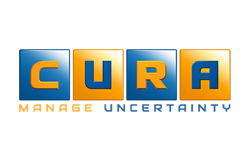 Cura came to VSL looking for a telemarketing company to search and select data from various sources finding very specific titles within various departments of organisations. This data was then built into a data base and used to generate leads, book meetings and Webex’s for the UK Sales Director to develop into new business. To achieve the targets for this campaign, experience in the area of Risk and Compliance was needed along with a good understanding of the different departments in large organisations and the functions they perform. VSL worked on a 3 day per week basis for Cura. We generated data by searching multiple sources and, once we had the correct details and contact had been established with an appropriate title, these were added to the CURA’s database on salesforce.com. This data was then built upon and used to generate leads. In many cases there was more than one prospect in an organisation depending on the specific modules being presented. The target markets of the campaign were carefully selected allowing focus on different verticals and departments, and the modules most suited to these. VSL Worked with Cura Software for a number of years providing full support to the UK sales team feeding a steady flow of leads and appointment whilst building a precise data base of contacts in within the target organisations allowing Cura to target the specific contact with the appropriate module within their RISK management suite of solutions.